Written by Anna, a personal tour guide in shanghai from interpretersky. 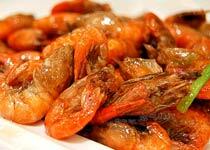 Shanghai local cuisine, also known as Shanghai style cuisine, or Shanghai cuisine, is famous for being cooked fresh, especially the fish and shrimp. With the thick red oil sauce, chili sauce, and bright color, They are not only delicious to eat but also pleasant to eyes. 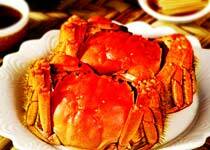 Speaking of Shanghai food, the most well-known is the hairy crabs. Wang Baohe Restaurant: Its crabs, crab tofu are a gold brand in Shanghai locals’ minds. With a very old Shanghai style, the tables and chairs in the restuarants are compact. All furnishings look quaint, making one recalling the old times. Average cost for one person to eat in this restaurant: RMB150. Address: No. 603 Fuzhou Road (near Zhejiang Road). 2. Liuhui Hall: crab meat dumplings, crab meat and tofu, and crab and asparagus are local cuisines, each dish is carefully and elegantly cooked. Average cost for one person to eat in this restaurant: RMB100. Cars can be parked in the street or in the underground parking lot.